EDINBURG — One of two statewide public hearings to gather feedback on the Texas Education Agency’s recently released draft of a strategic plan for special education will take place in Hidalgo County, where hundreds of parents have voiced concerns over public school handling of these students. The first of TEA’s scheduled hearings will be at 1 p.m. Thursday, April 12, at Region One Education Service Center in Edinburg. A federal investigation confirmed the suspicion of many parents as they found the state agency had been incentivizing school districts to keep the number of special education students low, depriving many of necessary services and proper education. 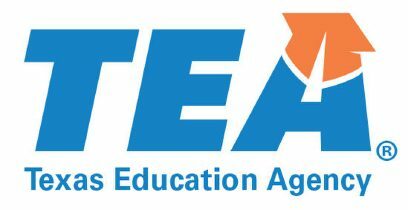 After touring the state hearing grievances and concerns from parents and educators, TEA released a 42-page draft of a plan to tackle this issue and provide needed services to special education students throughout the state. Some of the highlights of the plan include requiring an immediate identification of children who might have been left out of special education programs, adding monitoring teams that focus on student improvement while also providing school districts with technical assistance, helping with training on federal requirements for teachers and staff and creating a call center where parents can reach out to experts. The draft is scheduled to be submitted to the federal government by April 18, with the public hearings intended to take comments on the draft ahead of their submittal. Beside Edinburg, the only other hearing location scheduled so far is in Richardson, near Dallas. There is no word on whether the agency plans to host others around the state. Participants will be required to register to speak outside of each hearing location starting at 12:30 p.m. and they will be called in the order they register. Each participant will be allowed three minutes to speak and the entire hearing will be recorded and transcribed to make comments public, according to a news released sent by TEA. The hearings will continue until all participants have commented or until 3 p.m., whichever comes first. To read TEA’s draft, visit tea.texas.gov/TexasSPED/.